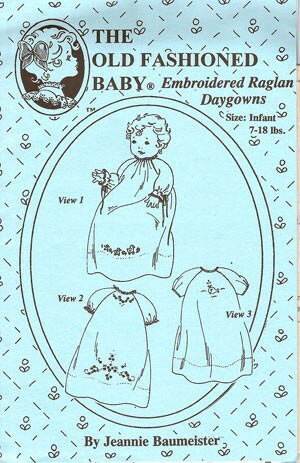 This daygown pattern is perfect for boy or girl baby. A comfortable daygown w/a front that is made for embellishing. Use one of the designs included or choose your favorite. Trim w/lace, tatting or bias bands on the sleeves.